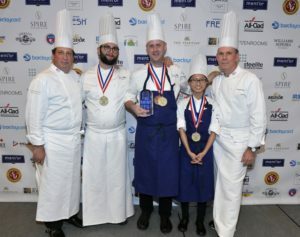 Since 2008 it has been a key mission for the Foundation to enable the best young talent in America to effectively train for the privilege and honor of representing the United States at the Bocuse d’Or in Lyon. 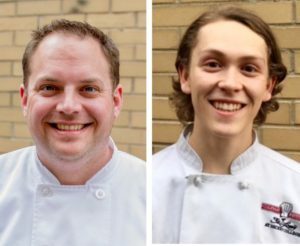 The result of that patience and determination was realized for the first time in 2015 when Team USA stood on the podium with the Silver Bocuse, garnering the recognition and respect of the international culinary community. In January of 2017 we were proud to return from Lyon with the Bocuse d’Or, having realized Monsieur Paul Bocuse’s dream of USA winning Gold. 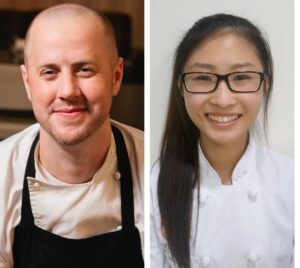 Congratulations to Chef Matthew Kirkley and Commis Mimi Chen on being named Bocuse d'Or Team USA 2019! 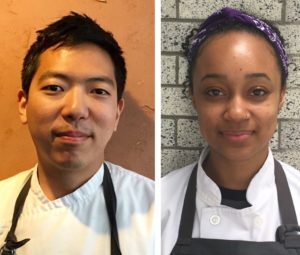 We want to recognize and thank Chef Ben Grupe and Commis Jared Dix and Chef Jeffery Hayashi and Commis Brionna Morrison on a job well done at the Team USA National Selection held on November 9, 2017.